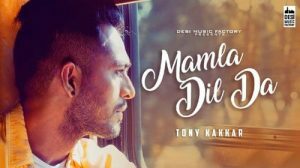 Presenting the new Punjabi Love Song Mamla Dil Da Lyrics by Tony Kakkar. The song is sung and composed by him. The lyrics are also penned by Tony Kakkar.